Rohan Welivita’s film Suseema which is the cinematic version of the popular teledrama of the same name will hit cinemas at the end of the year. The movies stars Pabodha Sandeepani and Suraj Mapa in lead roles supported by Robin Fernando, Saranga Dissasekara, Kapila Sigera, Dushmantha Prasad, and Nirosha Palagala. The story is originally based on a comic written and drawn by Janaka Ratnayake. It was brought to the screen by Welivita around 20 years ago. “It is a challenge to do justice to my own work as the film need s to meet up with the standards of the teledrama,” Welivita told the Daily News. songs. He debuted to background vocals with Desa Piya Gath Senin. The roles of Ranga, Asela, Suradewa, Mike and Suseema were previously played by Palitha Silva, Jackson Anthony, Granvile Rodrigo, Sathischandra Edirisinghe and Menik Kurukulasuriya for the teledrama. “I believe that the artistes did justice to these characters in the movie. I am especially satisfied with Srarnga’s acting and also the way in which two debutees Dushmantha and Nirosha portrayed their characters. Their acting surpassed those who portrayed the same roles in the film,” he mused. The teledrama was telecast nearly 15 times on different television channels. It was based in the mid 1980s. Suseema, the movie, will be based in the modern context. A key campaigner in the broadcasting sector Welivita introduced the latest High Definition (Full HD) camera to local cinema. The B2 HD camera with AVC-Intra recording format is handled by Sumedha Liyanage, the cinematographer of the project. “Fine Vision is hoping to introduce 3D technology to Sri Lanka. We are currently taking part in discussion and seminas concerning the matter. We have already brought the Da Vinchi Colour Corrector to the country along with the Digital 3D system,” Welivita noted. 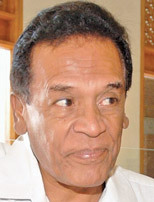 A S P Liyanage and Welivita are the producers of Suseema. Dinesh Kumara is the cameraman of the project which is produced by K R Siriwarrena, Ajith Kulathunga, W R Dammika, Swetha de Silva and Ariyadasa Peries on behalf of Charitha Mali Films. Suresh Kumarasinghe is the Technical Director, Ranjith Jayasekara the Administrator, Ranjith de Silva the Art Director and Randika Nadeeshan the Editor of Suba. The film will begin screening at Ritz--Borella, Dulmini-Horana, Montero -Nugegida, Vijendra-Anuradhapura, National-Maharagama, Wembley-Kandy and several other cinemas islandwide from October 8. Starting off as a mature family comedy the excellent performance of Kajol backed by Kareena’s bubbly presence makes Karan Johar production We Are Family‘hit’ home. Maya (Kajol) is the perfect mother. Her life revolves around her three children, Aleya (Aanchal Munjal), Ankush (Nominath Ginsberg) and Anjali (Diya Sonecha). Despite being divorced from her husband Aman (Arjun Rampal), Maya has ensured that everything runs smoothly in her house, under her watch, and that they continue to remain a happy family unit. When Aman introduces his girlfriend, Shreya (Kareena Kapoor), a career-oriented woman, the situation takes an unexpected turn. However, Maya is diagnosed with a terminal illness and circumstances bring the two women under the same roof. Can two mothers make a home? The talented female thespians come together to earnestly jerk tears in We Are Family, via combined efforts of the story writer Gigi Levangie on the original screenplay by Steve Rogers, Karen Leigh Hopkins, Ron Bass, Venita Coelho and Gigi Levangie. All touchy elements are here like the conflict between a super-mom and a career women the adorably smart kids tossed about by divorce, all goody-goody surroundings, exotic locales, the jealousy amongst the women and of course the fatal disease that triggers some noble suffering and emotional focusing all around. Siddharth Malhotra in his debut film shows his calibre to manage emotions and starts effectively. Kajol relies on her expressive eyes to show us Maya’s emotions, while Kareena conveys Shreya’s uneasiness mostly through her body language and baritone voice. Arjun does his part with sincerity. 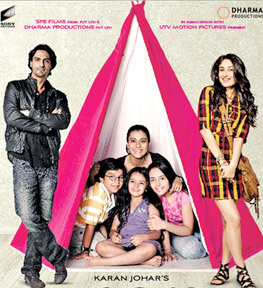 We Are Family will begin screening at Liberty cinema from September 23. It is a EAP distribution. Renowned filmmaker Chandran Rutnam revealed that his next movie will be based on the tsunami effected train number 50. It is the train which travelled from Maradana to Peraliya which met with a tragic end killing over 2000 people on December 26, 2004. “It is a bit similar to Titanic because the audience knowns that the characters will die. However they will bond with them as the story flows. I have picked a lot of information from news items and accounts related with the incident before developping the story. True details are linked with the project,” Rutnam reveled. He had already begun penning the screenplay but relates that it is long process which has to be done with perfection. Everyone’s favorite green, giant, and obnoxious orc is returning, but this time - not on the big screen. NBC ordered new holiday specials for the upcoming season from two DreamWorks Animation blockbusters - Shrek and Kung Fu Panda - titled Scared Shrekless and Kung Fu Panda Holiday Special. The move continues the relationship established last year between DreamWorks and NBC when they aired Monsters vs. Aliens: Mutant Pumpkins From Outer Space and Merry Madagascar. The Halloween-themed Scared Shrekless airs on October 28. 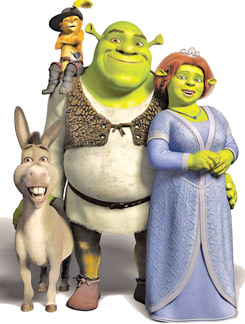 Its story follows Shrek as he challenges Fiona, Donkey, Puss in Boots, and other fairy tale characters to spend the night in Lord Farquaad’s haunted castle. Kung Fu Panda Holiday Special arrives a month later on November 24, with an encore of Merry Madagascar, and puts Po in an awkward position: he must choose between his family obligations and his duty as a Dragon Warrior.